Pupils at Blue Bell Hill Primary School in Nottingham have reviewed The Christmasaurus by Tom Fletcher, which they received as part of our Read On Nottingham campaign. At the end of 2018, Read On Nottingham received a generous donation of books from corporate partners Penguin Random House to celebrate our charity of the year status. 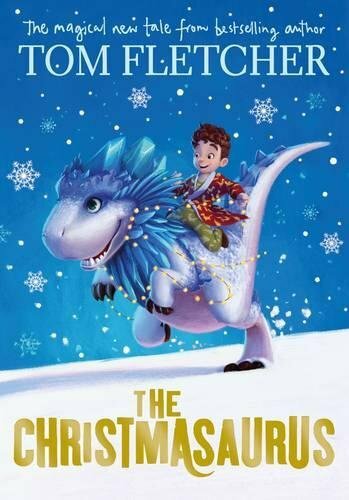 This included hundreds of copies of Tom Fletcher’s The Christmasaurus: the story of William Trundle who wakes up on Christmas Eve to find the amazing Christmasaurus in his bedroom. Following the surprising discovery he is soon off on a dazzling adventure full of snow and elves and flying reindeer – and Santa Claus himself. The books were delivered to several primary schools in Nottingham for pupils to enjoy during the school holiday. “It was a pleasure to gift so many books to children and families in Nottingham during the festive season. These positive reviews prove how gratefully and positively they have been received. Books have the power to transform lives, yet far too many children in the city are missing out on the chance to reach their full potential because they don’t have a book of their own at home.